This guide is written by Rolf von Kiaer, a partner in Helios Gallery Antiquities in the UK. 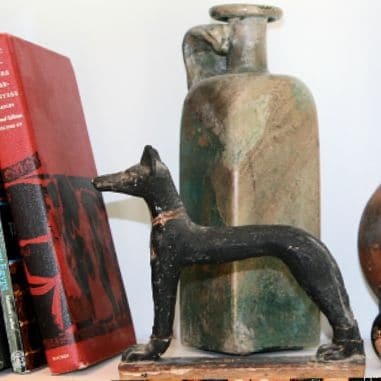 Helios Gallery believe that ethical dealing and collecting can work in harmony with archaeology and our company maintains a zero-tolerance approach to illicit, fake or smuggled antiquities. Rolf bought a few ancient coins at the age of six and quickly found a passion for the ancient world leading him to studies in Classics and eventually a degree in Mesopotamian archaeology from The Institute of Archaeology, UCL, London. Rolf started dealing in 1989, opened a gallery in 1994 and was elected to the executive board of the Antiquities Dealers Association in 2005. He has consulted in several antiques-related programmes and publications, and assists an ever increasing number of museums and institutions in their pursuit of the rare and beautiful. Provenance: Why does it matter? 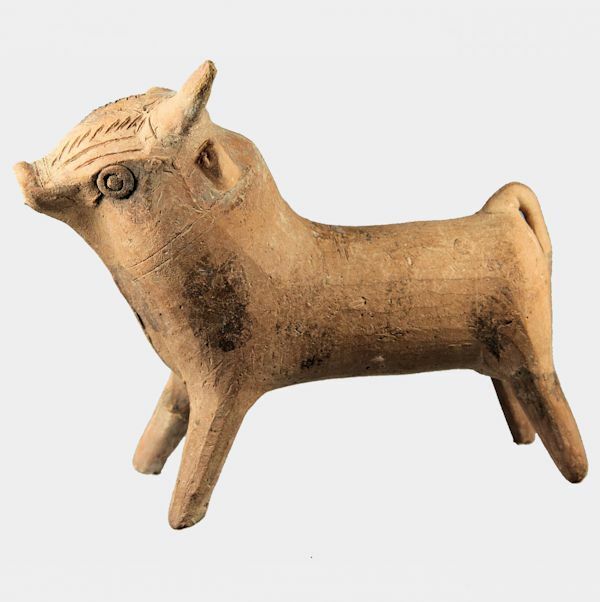 Provenance is the term used to describe the history of an archaeological object since it was excavated. This can include where and when it was found, by whom it was owned, where it may have been exhibited or published. Provenance for antiquities is often modest (i.e. "from a deceased estate in London"), but what seems banal now may be interesting to a collector or researcher in 100 years, so always keep paper-work associated with an item and supply it with the item if you decide to part with it. Provenance adds value to an antiquity, and the day when un-provenanced antiquities become un-tradable is rapidly approaching. Un-provenanced objects are generally cheaper, but this is because they will always have a lower market value and most reputable dealers and auctioneers will not buy or sell them. Many countries already ban the importation of un-provenanced antiquities: it makes ethical as well as financial sense to ensure you avoid smuggled goods in your collection. Authenticity - How do I know something is genuine? You don't.... Even the most experienced dealers, museums and collectors can be fooled by photographs or even an actual item, it is not possible to be confident in an item without handling it, and even then there may be concerns which require further investigation. This means that you must trust the person selling the item and be prepared to return an item if you believe it to be fake or unsatisfactory. If you are not confident in your ability to detect fakes, take the items to a good museum, dealer or auctioneer with a specialist antiquities department. Building a long term dealing relationship with someone you trust is the best way forward. Double-check your purchases with another specialist: good dealers are never offended by their clients' concerns for authenticity. Anyone can write almost anything on the internet, the lure of a bargain can temporarily dazzle so apply a little caution before you part with your hard-earned money. All reputable dealers with large website presences belong to an internationally-recognised antiquities trade association such as the Antiquities Dealers Association (ADA) or International Association of Dealers in Ancient Art (IADAA). Both have websites with full lists of members, if someone claims membership on their own site but does not appear on these lists they are probably trying to deceive you and we recommend that you report them directly to the appropriate organisation. ADA dealers not only offer their own guarantees but their objects are independently assured by the association so if you think you have bought a fake from a member, the association's board will independently investigate and arbitrate if required; though buying from a registered dealer should mean that this problem will not arise! A big shiny website with no affiliations should be treated in the same way as a big shiny second-hand car garage with no warranties, MOTs or log books: you may find a bargain but unless you're an expert you are more likely to burn your fingers. Smaller part-time dealers may not be members of an association but still be perfectly honest, to find those hidden gems you really need to research reputations and the individual items on offer before handing over your money. A good reputation is the most important aspect of the specialist dealer. This is why well-known dealers can charge a premium for their stock: the added value of knowing that you are buying authentic and properly provenanced objects. Do not believe "testimonials" written on a dealer's website, anyone can write these, but make your own research before buying. Proper research before a purchase is better than finding our that you have been cheated. Internet chat groups and forums can be a surprisingly good way of checking someone's reputation, random people will invariably share their knowledge or experiences with others who share their collecting interests. 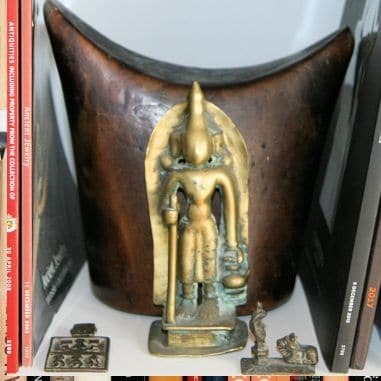 Probably the largest discussion group for general antiquities is AncientArtifacts on Yahoo, many of their discussions are irrelevant but they publish a large list of dealers they consider to be honest and another even larger list of untrustworthy rogues. We helped to draft their guidelines for responsible collecting and we thoroughly recommend giving this a read. Anyone with a computer can print a certificate, therefore they can mean nothing at all. Crooks on the internet play heavily on selling items with "certificates", these have no meaning or value and offer no guarantee of authenticity. Proper guarantees will describe an object in detail or include a photograph so that they can not be inter-changed with forgeries. If a certificate is not backed by a professional association, you are relying 100% on the dealer being honest, it offers you no legal protection. Always ensure that you are supplied with a receipt: this must contain the dealer's registered trading address, registration number, date of sale, and value and nature of the goods. A receipt offers some legal protection, especially in association with credit card payments. What guarantees should I expect from a dealer? A good dealer will unconditionally guarantee the age, description and condition of an object which they offer for sale. This goes far above the guarantees offered by most international auctioneers. This guarantee will not have a time-limit: if an item is mis-catalogued in any way, a reputable dealer will refund it at any point as long as they are still trading. As well as the guarantee, a good dealer will also allow clients to return items bought from photographs (i.e. the internet) for a certain period after a sale if the customer feels they are not happy for any reason whatsoever: reputable dealers acknowledge that it is hard to evaluate works of art from two-dimensional images. Some countries including the UK offer buyers statutory rights to return items bought in this way for two weeks after the sale, we extend this to one month to reflect realistic international shipping standards.